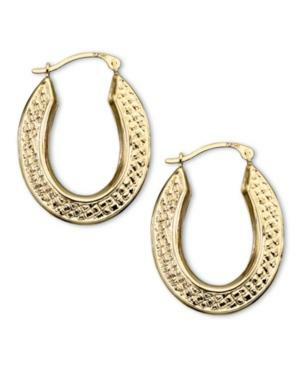 These 14k gold hoop earrings feature comforting design for every day. Approximate diameter: 1/2 inch. Approximate length: 1 inch.